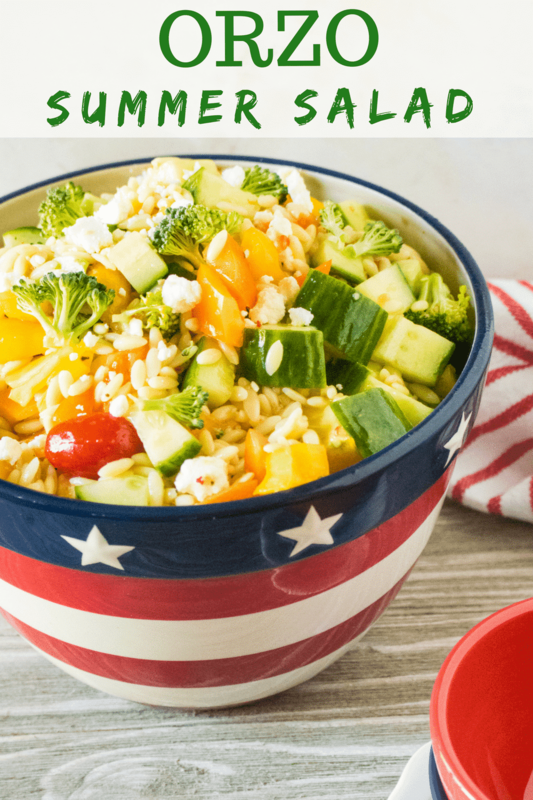 Hot summer days are coming, and there’s no better way to cool down than by enjoying this Summer Orzo Salad. It’s packed with fresh summer veggies like tomatoes and cucumbers that are at their tastiest during these warm summer months. The cool, crisp crunch of the cucumbers adds a refreshing flavor and texture to this salad, while the juicy ripe tomatoes give a nice hint of acidity. Most importantly, this recipe is so quick and easy to make! It comes together in under 30 minutes, so it is perfect for a last-minute party, or as a quick side dish for your favorite summer dinner entrée. You can even make it in advance and keep it in the fridge until you’re ready to serve. 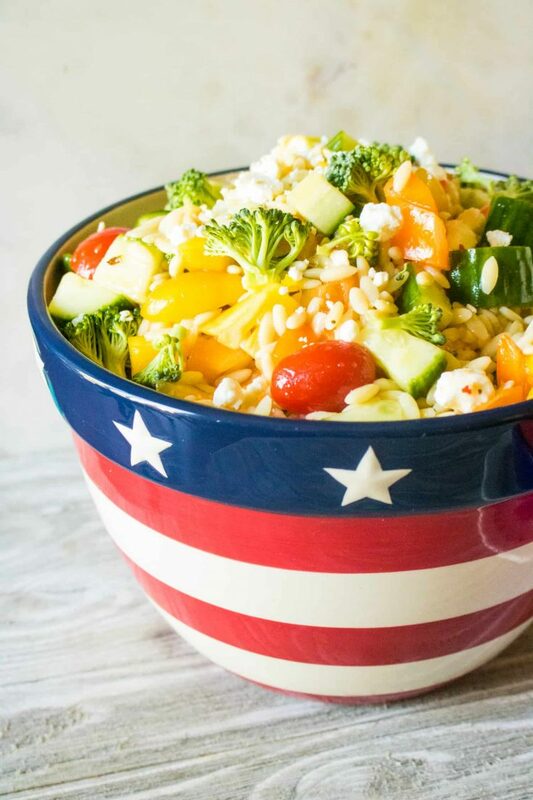 Another added bonus of Summer Orzo Salad is the adaptability of the recipe. This version uses Italian dressing, but it would taste equally delightful with either Balsamic, raspberry or champagne vinaigrette. 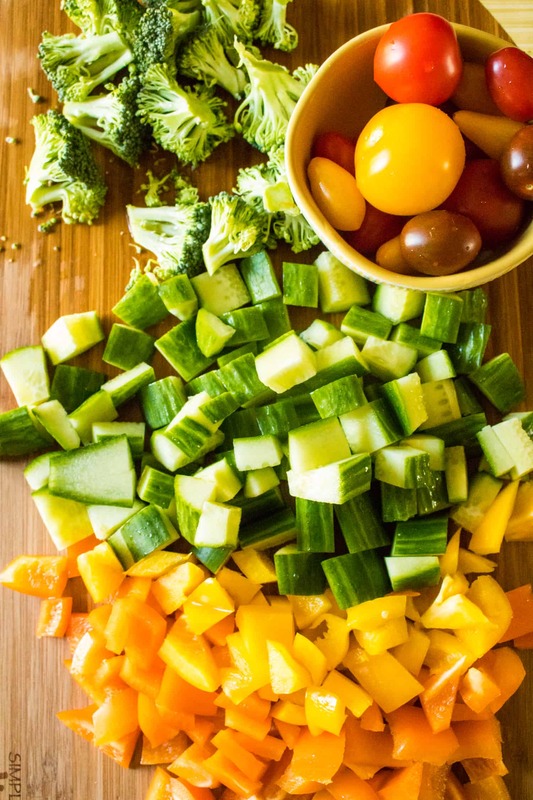 You can also substitute any or all of your favorite vegetables, and tailor the recipe depending on what’s in season in your area. Have fun with this recipe, and consider it a jumping off point for you to customize to suit your taste preferences. Orzo is a variety of pasta that is shaped like grains of barley or rice. Traditionally, orzo is made from semolina (milled durum wheat). This type of wheat is hard, allowing orzo to be resilient during cooking. It can be boiled, simmered in a stew, or baked without losing its chewy texture. This small grain-like pasta can be found in the pasta aisle in most grocery stores, alongside other pasta shapes like spaghetti, fusilli or linguini. Orzo has become increasingly popular in the last few years, so it should be available in a store near you. In North America, tomatoes are in season between June and October. While each variety of tomato has a slightly different growing season and peak harvest times, you can expect juicy, flavorful tomatoes to be available all summer long. Adding tomatoes to dishes like Summer Orzo Salad provides a delicious balance of sweet and tart qualities. With so many farms growing tomatoes in greenhouses these days, odds are you will be able to find tasty tomatoes both early and late in the season. First, chop the broccoli, cucumber and bell peppers. Next, combine all ingredients together in a bowl, add the Italian dressing, give it a toss, and serve! 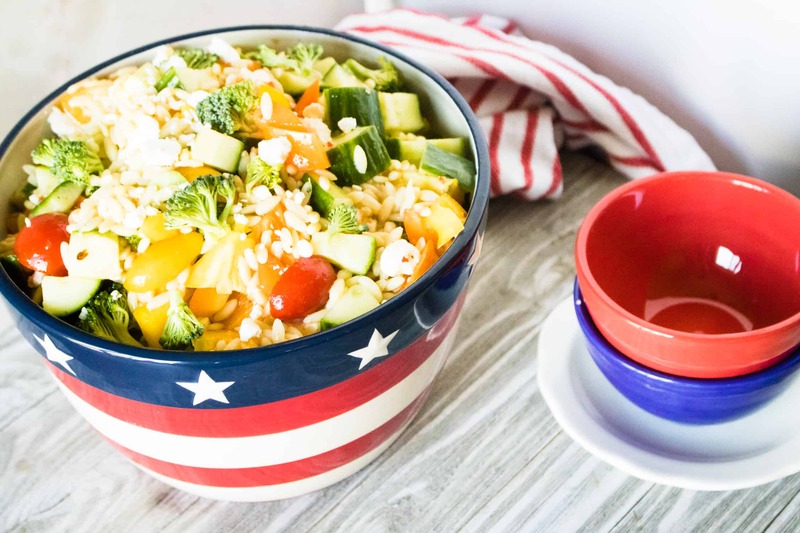 This Summer Orzo Salad is packed with perfectly fresh, in-season veggies, and is so quick and easy to make!